ORLANDO, FLORIDA-It can get pretty discouraging when you’re not getting anywhere in Google rankings in spite of following all the best practice guidelines and good copywriting suggestions. If you feel like your content is still being ignored, make sure one of these problems isn’t tanking your number of page views. The term page view is pretty self-explanatory. You get one each time a visitor clicks to view a single file or page of a website. Essentially, the more page views you get the greater the potential there is to convert readers to new customers. To view your site, they have to be able to find it. You should already know what our SEO expert and President Ali Husayni says: you must have a WordPress blog on your site to do well in Google rankings. However, Google gives a higher priority to sites with fresh content, so without regular updates your site will get buried in the results even though the content may still be relevant. If you haven’t already done this, here are some ways to get started on a blog. Make a list of topics to write about and set up a posting schedule. Some websites function primarily to provide basic information about the company or service provided, but you can still come up with relevant and interesting topics with a little more creativity to do it. This is a post that has 10 types of posts to help get the ideas flowing. Set up a Google+ profile or business page and establish authorship of content. Your picture or company logo and a type of rich snippet in search results shows up, increasing the visibility and click-through rate on your content. Build backlinks to improve page rank, which will help establish you as an authority, causing your content to show up more frequently in search results and your website to generate more leads and more paying customers. Google hasn’t confirmed that .edu and .gov sites effect how they rank sites, but in our experience links from those sites are helpful. Promote your content, business and services through social media sites like Google+, Facebook, Twitter and YouTube-even Pinterest can be a good fit for certain kinds of companies. If you’re out of ideas about how to do that, our Editor-in-Chief Lorrie Walker recently did a two part series that shared 10 ways of marketing content that are often overlooked. To read your content, they have to be able to see it. Websites can be a place to express artistic style, but too often companies fall prey to exuberant website designs with eyeball searing results. Keep the basics basic. For example, use an easy-to-read font like Times New Roman or Arial and the text aligned to the left. Black text on a white background is the easiest for eyes of all ages to focus on. Follow the advice of our search engine optimization specialist by structuring the site logically and formatting the text using appropriate heading tags, paragraph breaks, subheadings and lists. A giant block of words takes more effort to slog through than most readers are willing to give and if the code is a jumbled mess search engine spiders can’t crawl the site as effectively. To care about what you’re saying, they have to see why or how it benefits them. Whether your target audience is other professionals in your field or the general community, you have valuable information and experience about your business and industry that can benefit others. If you frame it in a way so they can see that, you’ll be on the way to building a community and increasing your client base.”Don’t put your focus exclusively on getting better rankings or more page views though,” says Husayni. “The best SEO is done by writing not for the search engine but for your audience-or the audience you’re targeting if you don’t have much of one yet.”Come up with catchy but accurate titles and succinct summaries of the articles to pique interest and allude to how your content could benefit them. Many readers will only scan an article, so make it easy to glean the main ideas. To interact with you, they have to be able to do it easily. The most successful blogs are ones that have created a space for readers to join the dialogue and made it easy for them to do it. Social signals have become more important in how Google ranks websites, so you need to get involved or risk missing out. Make your blog as easy to follow as possible by installing a subscription button and RSS feed in a prominent location that will notify subscribers when you post new content on your blog. There is a much higher chance for returning visitors when a link to your blog post pops up in their reader or inbox. The bottom line of any campaign designed to increase visibility and ranking on Google is that it’s going to take time, so be patient and don’t give up. What have you found that helps boost page views and get your content out there? We have studied the art of content through some digital marketing courses and have come to the conclusion that less is better and the minimum number of content on a page is 250 words. It\’s never good to bombard visitors with text that bores them. Images also help! Precisely. So that means the content must have the quality and it must be interesting to appeal the visitors to read it. Thanks for sharing! 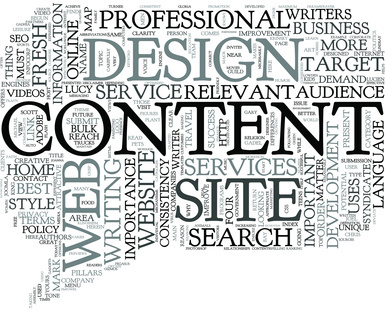 Content is very vital for every website. I still believe content is a king. Therefore, visitors and customer want to stay with your site and come back again. Nice post. For content it is very important that content must be very healthy and energetic. As the content will be the king in future. So we should focus on content first then rest of the things. the blog should be eye catching for the readers to be interested. and the content should be brief and simple enough for the readers to understand and catch up easily. and i found all that in your blog. thank you so much for giving us a chance to read such a great article. 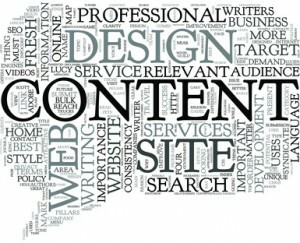 Content is very important both for users and search engines. Unique, relevant and interesting content make users engage. Massive thanks for sharing it! Two thumbs up! This blog of yours will serves as an eye opener to the bloggers out there. Cool… This is very useful article for the people who are all need to know the reason why their articles are rejected from SEO. This blog clearly shows the impact that how can a fresh and unique content is helpful in increasing your site\’s visibility. this is very important issue if you are targeting online marketing in a serious way. Your blog is an eye opener and provider of good information for bloggers.Thanks for sharing your thoughts. Thanks for sharing your views. Great blog here.. It’s hard to find quality writing like yours these days. I really appreciate people like you. Another problem is that a lot of people doesn’t support their backlink efforts with social signals. Before people create websites about your website, they will almost certainly say something about you on twitter/facebook or create a social bookmark of your site. If signals like that doesn’t appear, you raise a red flag in googles eyes. You should also try to randomize everything, like descriptions, titles and so on so that you don’t leave any footprint and make your backlinkprofile as natural as possible. I believe that there should be more than only lowering the effect of EMDs, Very nice post, I believe Google has officially announced the importance of being active in social media Thank you.